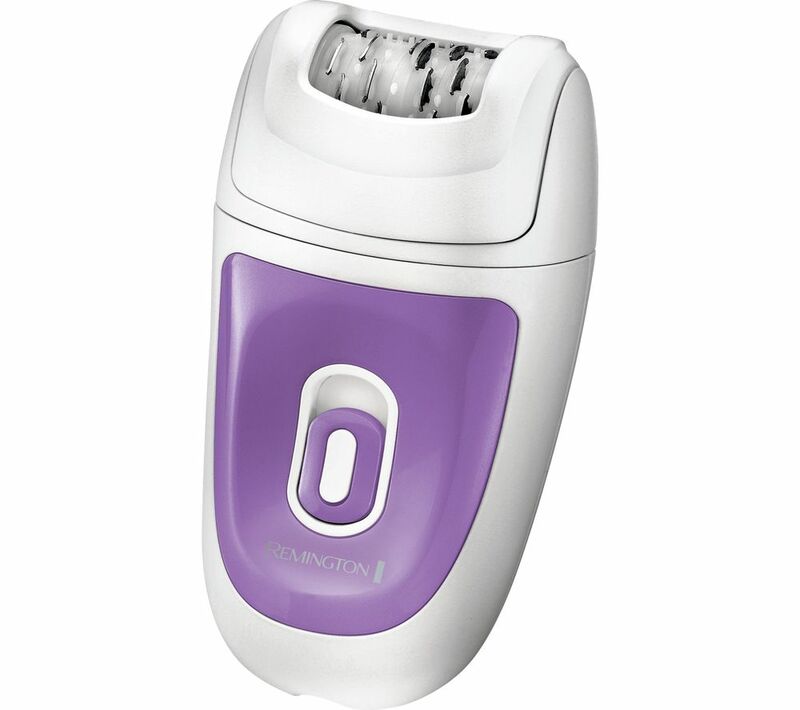 The Remington EP7010 Epilator has 40 tweezers working together to catch even the shortest hairs. The hair is pulled out by the root, leaving you hair-free for up to four weeks. When hair does grow back, it'll grow softer, thinner, and slower. The angled cap ensures the EP7010 is always at the optimal angle. You'll be able to reach every everywhere without becoming a contortionist, and still get the same flawless result. The faster speed setting is great for long stretches up and down the legs. Alternatively, switch to the slower setting for more sensitive and tricky areas, like under the arms. Wherever you want it, you can get completely hairless skin. The head pops off so you can safely wash it with water. The included cleaning brush will get hairs out from the Remington EP7010 Epilator, so you don't lose any performance.